Given the royal commission’s focus on broker remuneration and commissions, brokers have been outlining their thoughts on fees for service, with some defending fees, while others warn they would “decimate the broking industry”. Craig Morgan, managing director of NSW-based brokerage Independent Mortgage Planners, has told The Adviser that the royal commission’s arguments over broker commission have “oversimplified” the make-up of commissions to an “almost child-like dichotomy” that they are either “bad because they create conflict or good because they create competition”. Mr Morgan, who has charged a fee for service for nearly 10 years, commented: “It is clear that CBA’s Matt Comyn gave testimony about broker remuneration – and alternative models – that was disingenuous, calculated and self-serving. 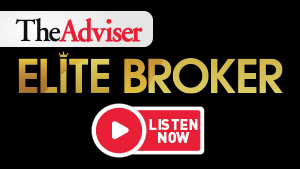 Meanwhile, other brokers, such as Alex Anderson, founder and CEO of Chesswork Group, said that fees for service threatens to destroy a thriving and growing industry of approximately 16,000 brokers Australia-wide. He said: “The current remuneration model works well for all parties concerned. The banks only have to pay for services rendered and even the big four have been reducing the number of branches and corresponding staff. Brokers get to provide a service to their clients without having to charge them, and consumers get the benefit of having an industry professional navigate the finance world and negotiate on their behalf without adding to their costs or debt level. “Switching to a fee for service model will not only decimate the broking industry but will ultimately disadvantage consumers that will be forced to either fend for themselves in a market place where each lender has vastly different policies regarding acceptable income, age policies and servicing criteria or pay for the advice either directly from savings or borrow the fee and add to their home loan debt to cover the cost,” Mr Anderson said. He continued: “The biggest winners will be the big four with Commonwealth in particular set to make the most gains. Being the biggest bank in Australia, it has the largest capacity to advertise and can most easily absorb the fixed costs of sustaining multiple branches across the country. As the Royal Commission into Misconduct in the Banking, Superannuation and Financial Services Industry has called into question how brokers are paid, and intimated that it may recommend a ban of some commission structures (such as trail), The Adviser has commissioned Momentum Intelligence to produce a white paper to better inform legislators about the intricacies of third-party distribution. The cornerstone of the report will be a major survey of borrowers to understand the decisions behind why they chose their mortgage provider, what their sentiment and understanding was around commission and, importantly, what would influence their decision when choosing which distribution channel they would use for a home loan in the future. According to Alex Whitlock, director of mortgages at Momentum Media, a key question will be around borrower sentiment towards paying a fee for service and how this could impact their choice to use a broker. “There has been great speculation around conflicted remuneration in the third-party channel. For this discussion to be complete, it is critical that we consider the borrower, who ultimately will be most affected should the cost structure in accessing a loan change. “It is essential that borrowers have access to the widest possible range of lenders and products, ensuring robust competition in the mortgage market. This will ensure that mortgages are ultimately offered at the lowest sustainable margin by lenders. “If we end up being forced to use the lender with the biggest retail network, history tells us that the cost to borrow will increase for the borrower. The survey will be promoted to borrowers across relevant Momentum Media brands including Smart Property Investment and Nest Egg. It will also be made available to brokers to share with their clients to ensure the largest possible sample market. You can share The Adviser’s survey available to your clients by following the steps outlined here.